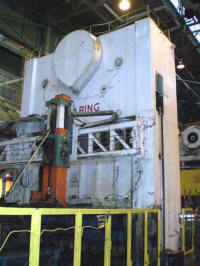 Exclusive Auto Parts Molding plant liquidation sale on Compression Molding Hydraulic presses. 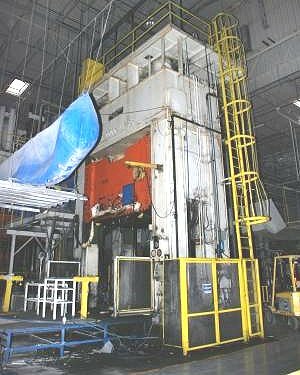 Paramount Industries is pleased to offer for immediate sale the following hydraulic compression molding presses being sold at liquidation prices. 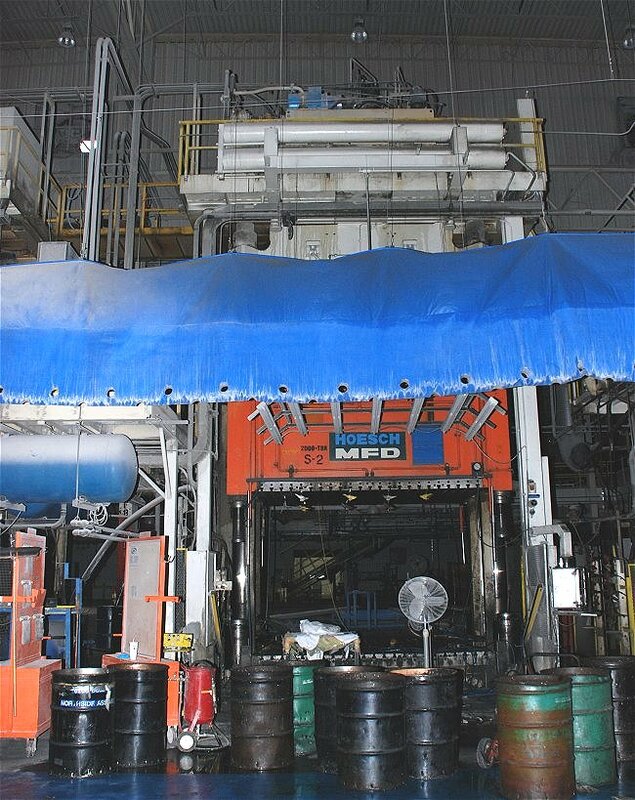 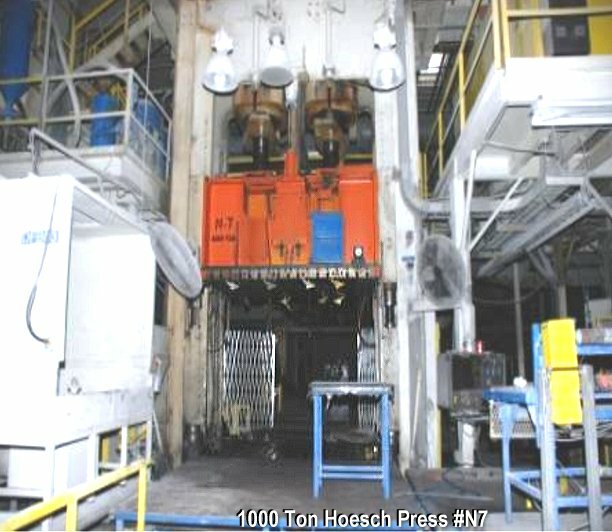 These Erie, Hoesch, Williams & White presses must be sold due to a Mid-West automotive molding and stamping plant closing in Shelbyville Ind. 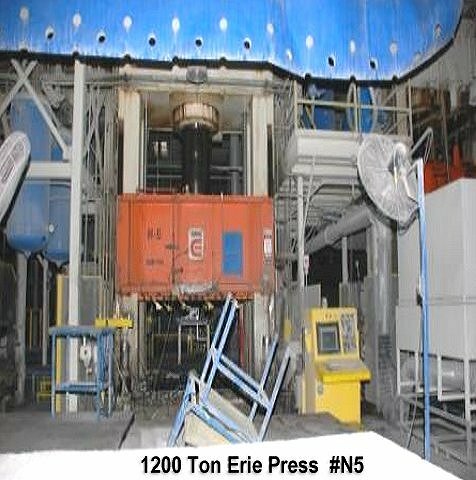 We can arrange worldwide shipping and nationwide rigging services on these presses for an additional fixed price. 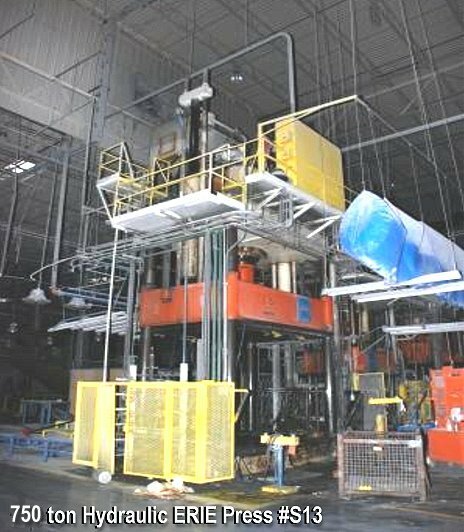 Call Ted Gillespie for pricing and shipping options at this toll free (800) 882-6165 number, or 1 (586) 779-1788 for international calls. 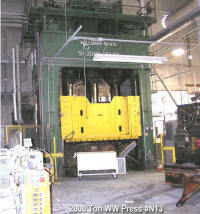 See the slide show below for more examples of the Shelbyville Molding Presses. 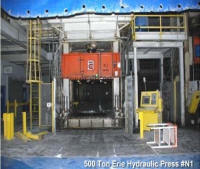 All safety railings, PLC controllers, and light curtains are sold with these hydraulic presses. 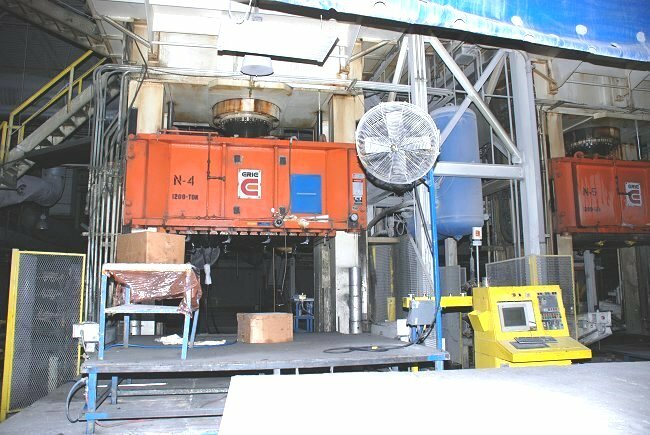 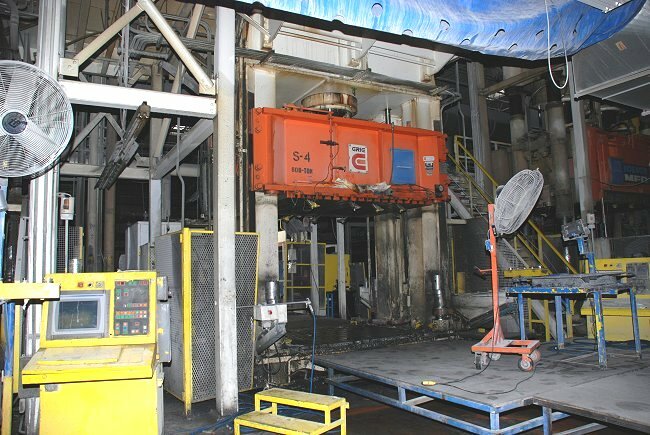 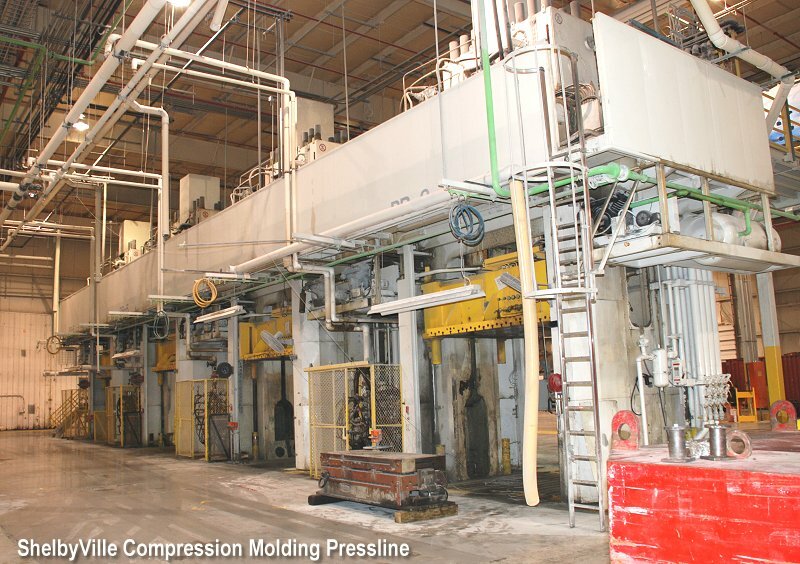 Grabill Indiana Compression Molding plant liquidation sale on ERIE, French Oil, Hepburne and Williams & White compression molding presses ranging from 400 to 4450 ton capacities. 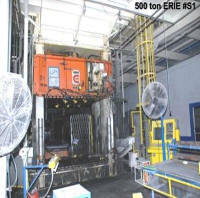 Also HPM Injection Molding presses for immediate sale on same page. 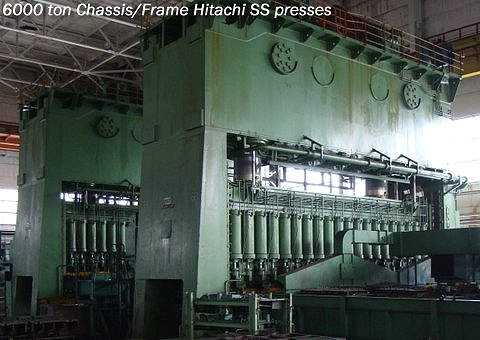 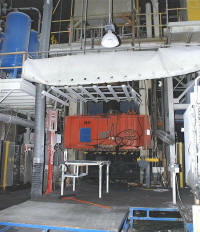 Rare Clearing 900 ton Straight-side wide bed metal stamping presses for immediate sale. 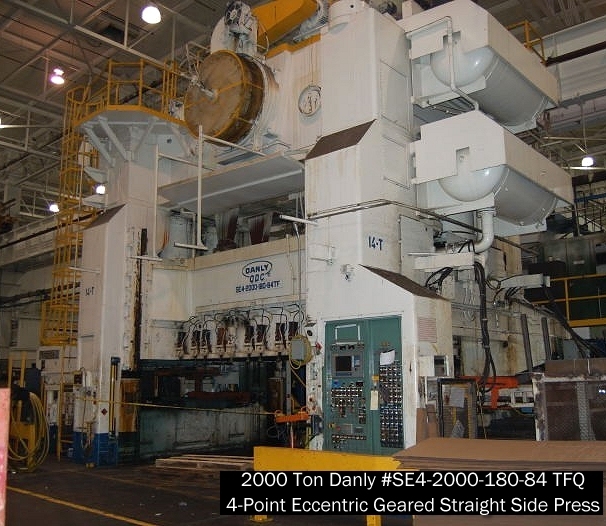 We are pleased to offer for immediate sale this 2000 Ton Danly #SE4-2000-180-84 TFQ 4-Point Eccentric Geared Straight Side Press (our stock # 8096). 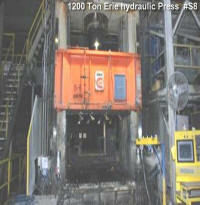 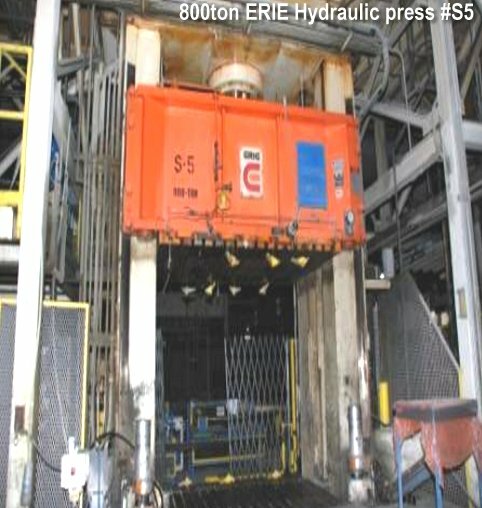 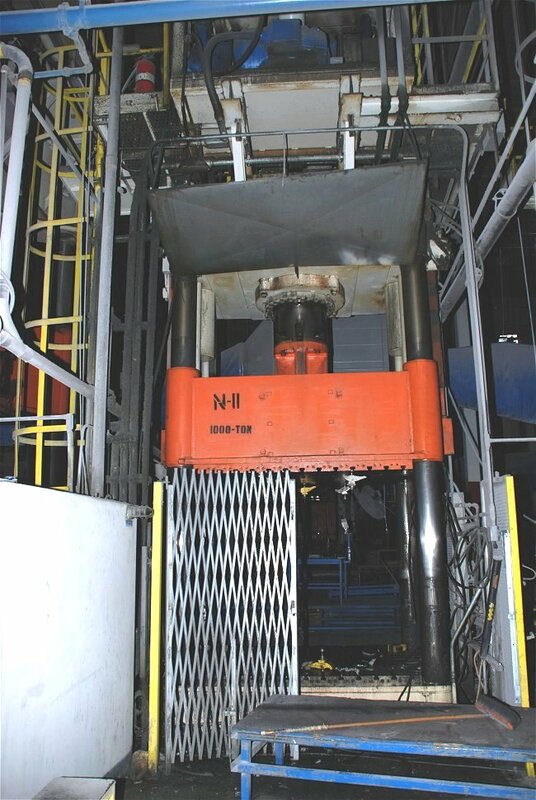 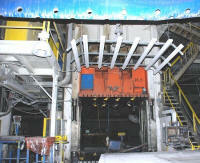 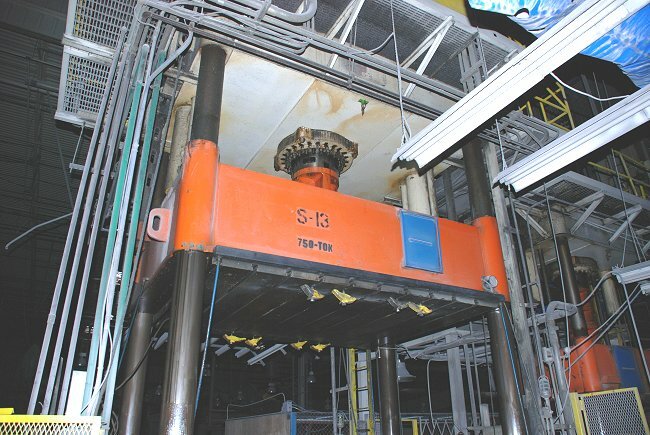 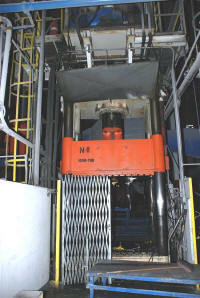 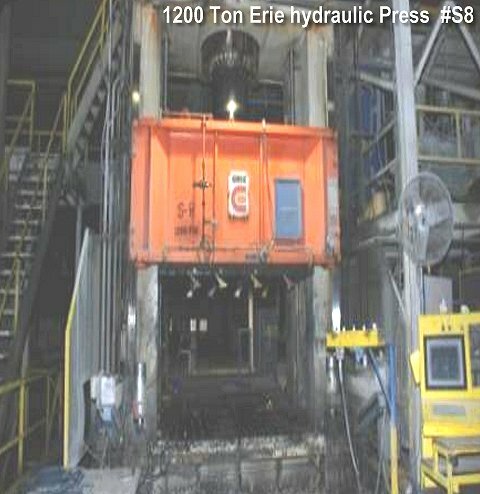 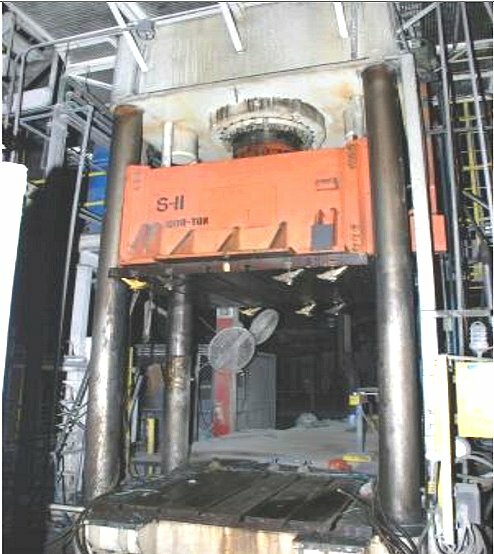 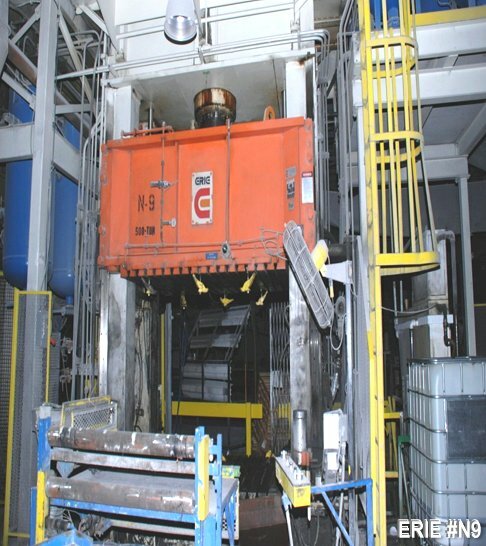 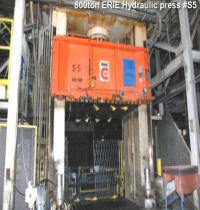 See full Danly 2000ton Press detail page with complete specifications ... CLICK HERE! 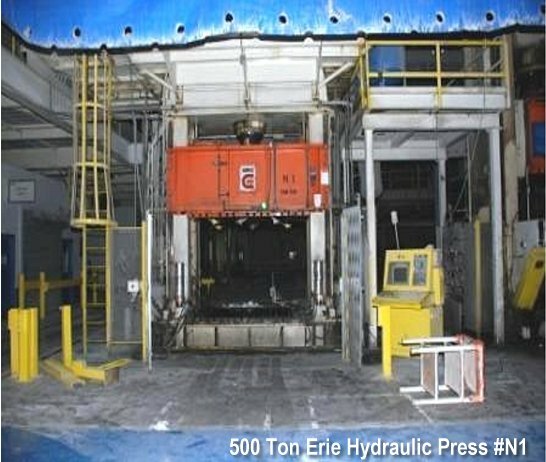 Call Ted Gillespie at (800) 882-6165 for Pricing and complete specifications, photos and options on these Clearing Hydraulic used presses. 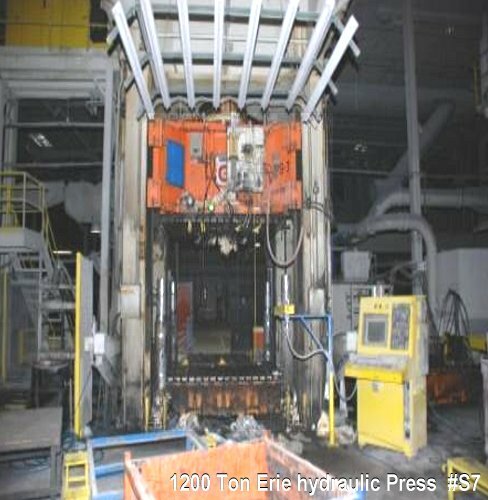 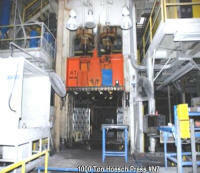 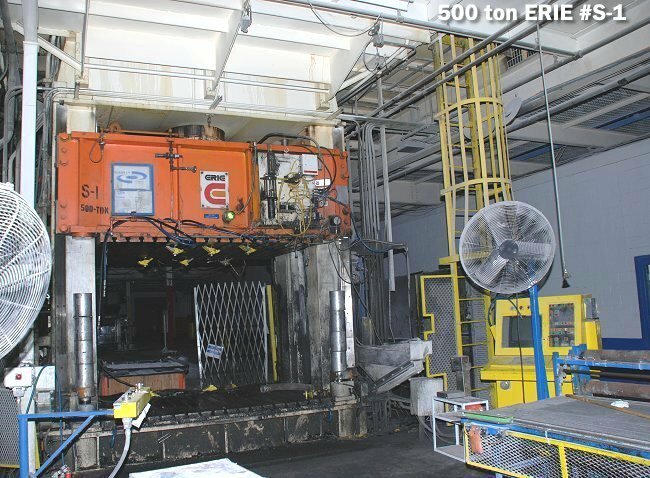 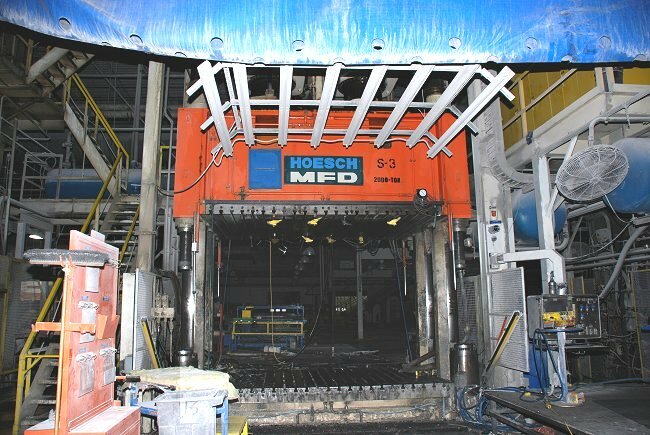 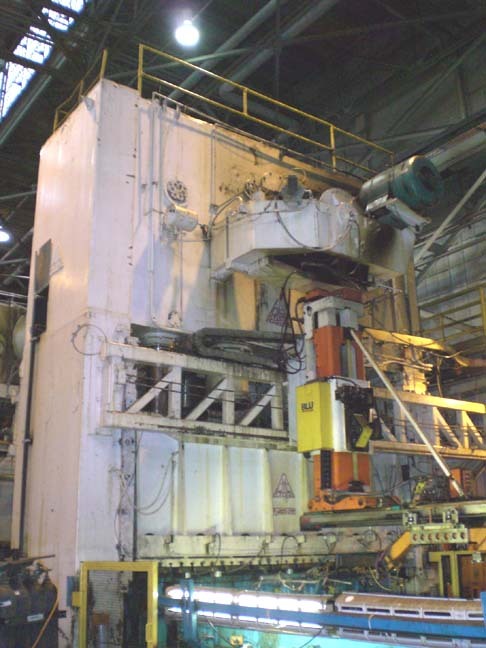 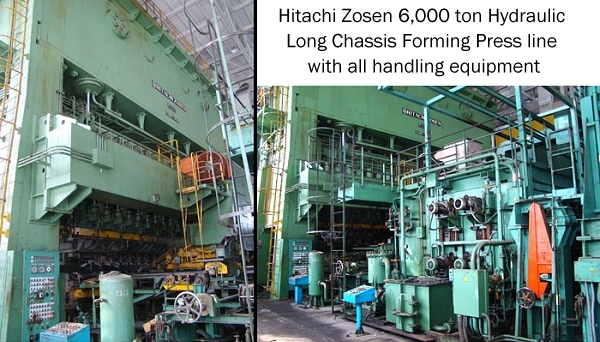 Used 6000 ton Hitachi Zozen (Clearing USI ) long chassis mechanical forming presses for sale at liquidation pricing. 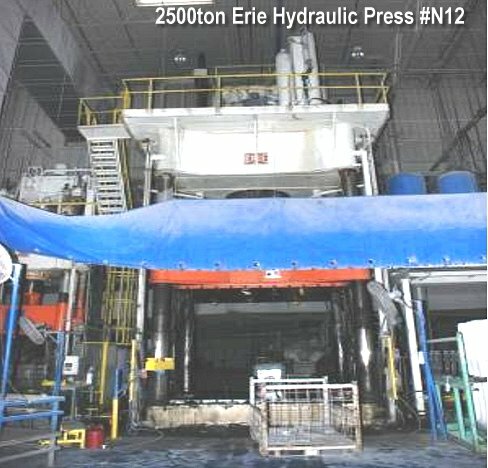 Paramount Industries Industrial Sales department is pleased to offer for immediate sale these 2 used 6000 ton Hitachi Zozen (USA CLEARING) Single action Straight side long bed 2 point mechanical presses with below specifications. These 2 inline presses have moving bolsters, among other options, increasing their production line value for a variety of frame/chassis forming applications. 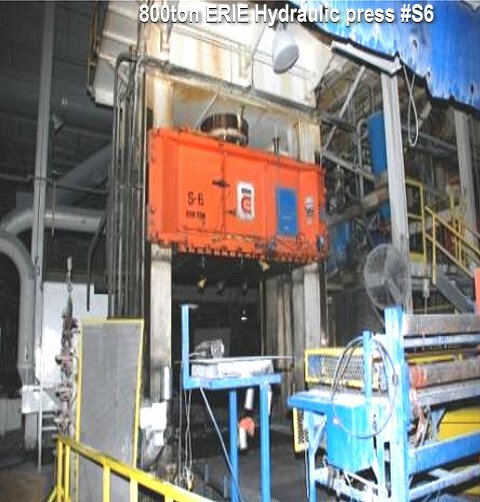 The Hitachi Zozen or USI Clearing Model S2-6000-1100-200 presses are perfect for use in manufacturing frames / chassis for Trucks, Buses, Light rail cars and heavy rail cars, along with heavy steel plate stampings and transfer die stampings..
Additional K.R. 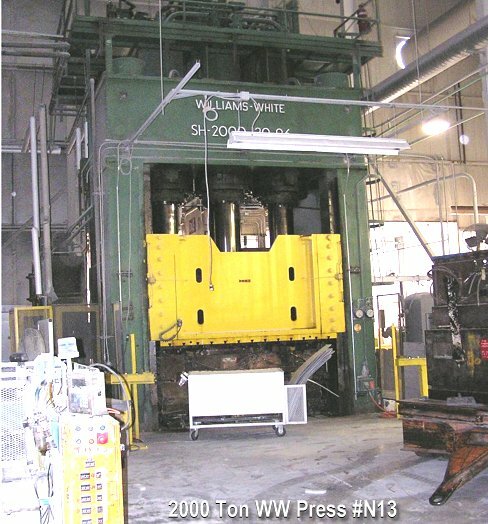 Wilson, BLISS, Danly and Erie Presses are available for purchase from Paramount Industries Inc. Paramount Industries has partnered with Tech Machinery Inc. and Otoole Press for over 20 years to help industrial Equipment Buyers locate, purchase and arrange delivery on the best buys in used Hydraulic stamping presses, CNC centers, milling and routing systems for the metal working industry. 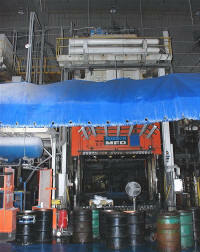 We are a trusted source that knows true value in this highly specialized market. 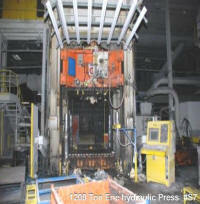 Please e-mail Ted Gillespie for complete details and pricing on the above listings or a complete fax list of available presses. 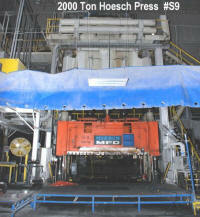 Act now before these used press deals are gone! 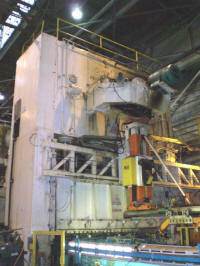 Danly, Verson, Bliss and Clearing used automotive metal stamping presslines for sale a liquidation prices. Paramount Industries has partnered with used machinery brokers and production plants for over 20 years to help industrial Equipment Buyers locate, purchase and arrange delivery on the best buys in used Hydraulic stamping presses and production equipment for the metal working industry. 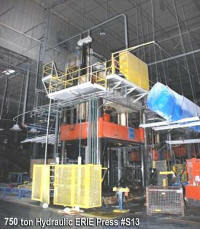 We are a trusted source that knows true value in this highly specialized market. 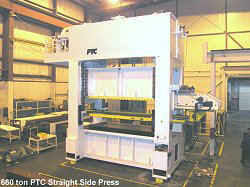 Please e-mail Ted Gillespie for complete details and pricing on the above listings or a complete fax list of available presses. 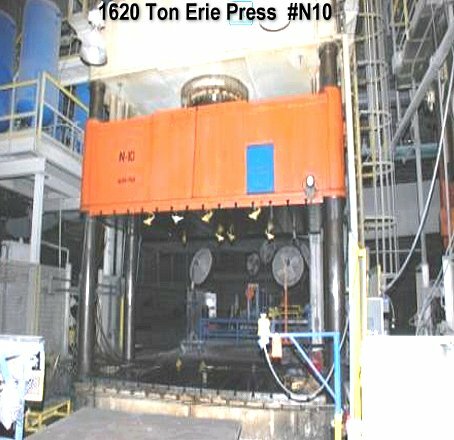 Act now before these 1000 ton presses are gone! 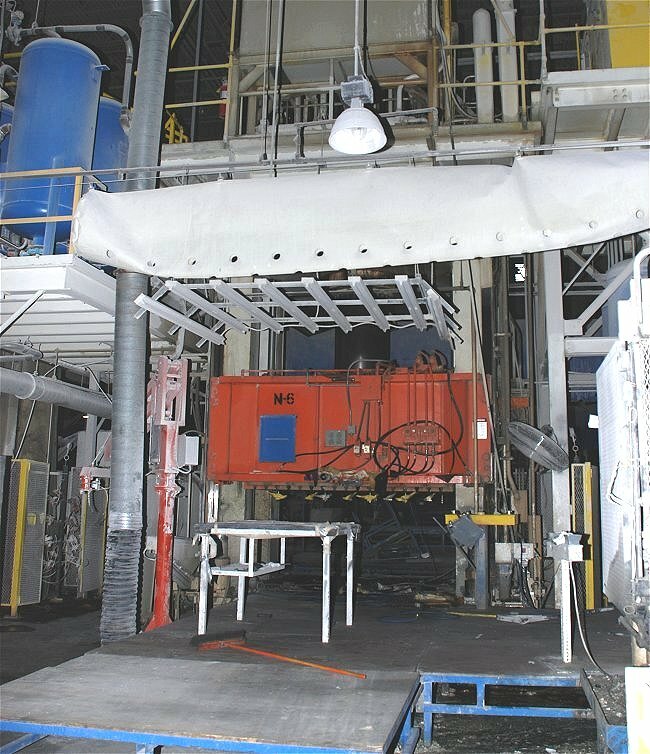 Paramount Industries is accepting offers on five 800 Ton Danly Straight Side 4-Point Presses which may be of interest to your company. 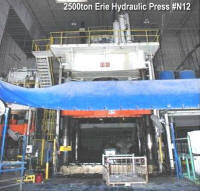 All 5 presses in this production line are available and may be sold individually or as a complete press line. 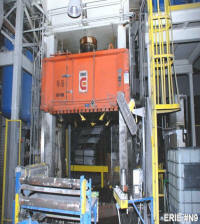 All presses are in working condition. 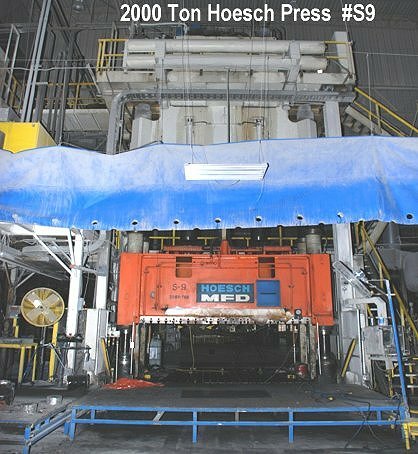 STROKE = 18" Adjustment of RAM = 12"
SHUT Height over Bolster (SDAU) = 42"
Opening through Columns = 70"
Ram Face area = 144" x 60"
Bolster Size 144" x 60" x 9"
6000 Ton Hitachi Clearing Mechanical Chassis Forming complete Press line in excellent working condition. 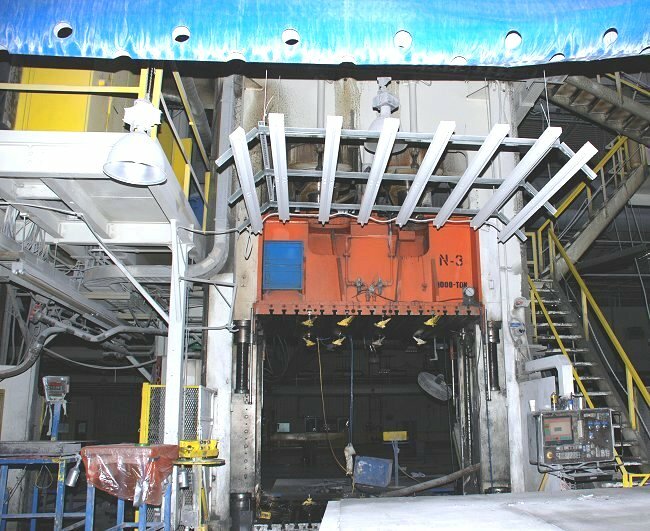 Model S2-6000-1100-200 and this chassis press can handle forming chassis parts to 36 feet long. 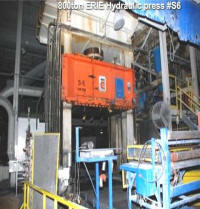 see full 6000 ton press specifications and press feeder line details are available ... CLICK HERE! 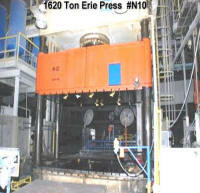 Additional heavy duty stamping presses we can offer for immediate purchase...see below.. or call for fax list!